Licensed as a Pennsylvania Realtor since 1994, Lisa has helped negotiate the sale and purchase of many of the finest properties on Philadelphia's Main Line. She has represented the owners and purchasers of estates, mansions, and specialty properties as well as traditional family homes. In 1979, Lisa started the successful interior design firm of LS Design. 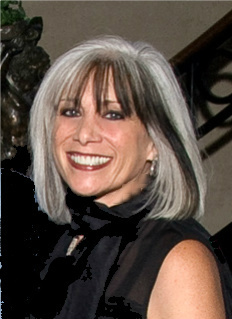 Her creative and business sense in her design firm along with her Accredited Staging Professional (ASP) designation in real estate have proven to be an advantage to both her buying and selling clients, while her vast personal and professional networks “behind the scene”, contribute to her clients’ success whether they are selling their property or buying their “dream home”. Confidentiality, Integrity, and Commitment to her clients are her guiding principles. "...Lisa, your continued dedication to providing the very finest in customer and client service is inspiring. You are the reason that Prudential Fox & Roach outshines it's competition each and every day. I want to thank you for contributing to the realization of our goals. As a member of the Chairman's Circle, you are the backbone of our organization. You are consistently, in every sense of the word, a true champion. Congratulations on your success." "There are two types of sellers - Those who list their homes with Lisa, and those who wish they had. No one works as hard as Lisa, and no one has her connections, it's just that simple." "Your performance has placed you in the top of all Sales Associates within the Prudential Real Estate network. I am proud to have this opportunity to offer my personal congratulations on you attaining the international Chairman's Circle Award. This success can only be achieved through a tremendous amount of discipline, dedication and hard work. And we want to be sure you know that your hard work is both acknowledged and appreciated." "Lisa DeBella is an extraordinary real estate agent. She knows how to price a house to sell, and was not afraid to redirect us when she believed we were misguided. Lisa is a professional who knows her business and works tirelessly to sell your home. Lisa DeBella is one real estate agent you can bank on!" Owner & President Coral Creations, Inc.
"We met Lisa DeBella many years ago when we were in the process of purchasing a new residence. She was the agent representing the seller of a much-desired town house that rarely came on the market. A bidding war ensued with several other interested clients. Lisa ethically, honestly and tactfully handled the situation while representing our interests as buyers. She was there for us, her clients, on a moments notice. Our offer on the townhouse was accepted. Her enthusiasm and her way of doing business lead us to making one more decision, we asked her to sell our old house. Because she was so good she became our agent and now she has become a dear friend." "It is my pleasure to recommend Lisa DeBella as a real estate agent par excellence. She not only sold our estate home quickly at the listed price, but also found a new home for us meeting all our specific requirements. With respect to both transactions, she was conscientious, knowledgeable and attentive to our needs." "I was Lisa's first client. For ten months I tried to sell my house with other agents and other companies. Their idea of marketing was to constantly ask me to lower my sale price. Then I met Lisa. She came in, made a couple of suggestions on how the house would show better and two weeks later it was sold! She found me my next house and when I was ready to move again she sold that one too. I also had a country house in Bucks County that I had been trying to sell for two years, Lisa got involved, and six weeks later it was gone. I found her professionalism to be beyond all others, and her attention to detail was remarkable. I was so impressed with her abilities - I married her!"